Ahoy mates, I'm Jeff MacKay, Pirate and Master Hatter. I present for you the largest selection of pirate headware to be found on the High Seas. 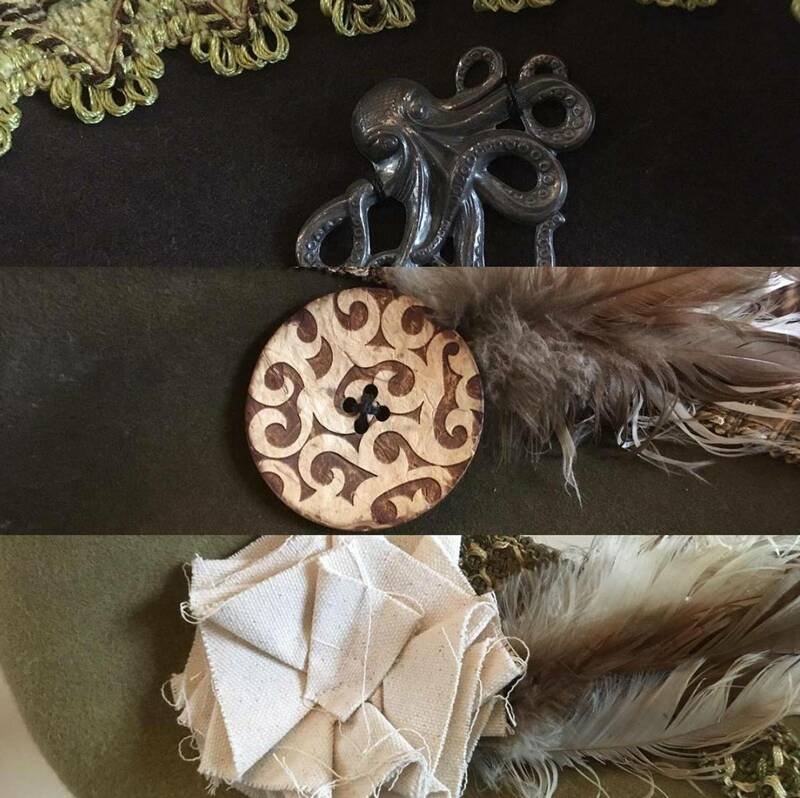 Here are the finest authentic, handcrafted pirate hats and cocked hats from the Golden Age of Piracy. Are you a pirate with a vision? 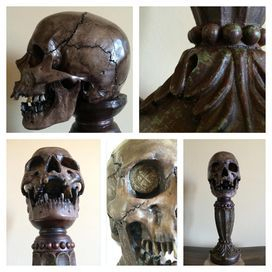 The MacKay can be commissioned for custom work, too. 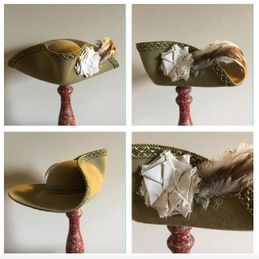 So whether you are perfecting your Captain Jack costume, doing Ren Faires, pirate re-enactment, living history, want to be the best damn pirate in your port, or maybe you're naught but a humble pirate, when you wear one of my hats you'll feel the freedom and adventure of the life of a pirate. 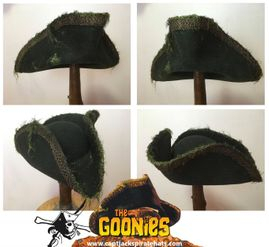 Getting one of my hats is the best thing you can do fer yourself, you Scalawag! 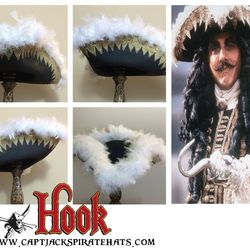 To begin building your custom Captain Jack's Pirate Hat click on STORE! You choose the: style, size, treatment, material, color and accessories. 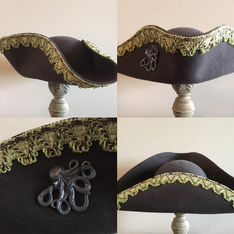 The Hat Makes The Pirate, And Captain Jack's Makes The Hats. 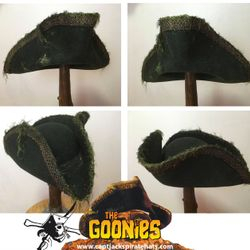 Here are the finest Authentic, Handcrafted Wool Felt, Cashmere, Seagrass, and Straw Pirate Hats, with 17 styles of Cocked Hats from the Golden Age of Piracy: The Captain Jack, The Barbosa, The Davy Jones, The Long John Silver, The Blackbeard, The Jean Lafitte, The Pierre LaFitte, The Captain Kidd, The MacKay, The Captain Henry Morgan, The Buccaneer, The Filibuster, The Pirata, The Scallywag,The Singapore Pirate, The Lavasque, The Classic Captain Morgan Rum, and Movie Version hats worn by the Pirates of The Caribbean: Captain Jack Sparrow, Captain Barbosa, Elizabeth Swann, Davy Jones, Captain Teague, Angelica, The Spanish Captain. Untreated - This is natural stiffened wool felt, with no treatment. It offers minimal weather resistance and is not recommended for wearing repeatedly in ocean squalls. Stiff and softens with age. Economy price range. 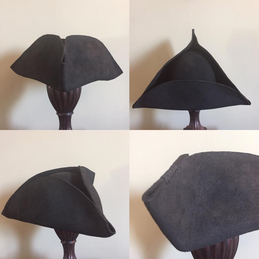 Acrylic Treated - This offers moderate weatherproofing and gives the hat a dull matte finish, great for a weathered look. Rigid and should be worn with a scarf or bandana for comfort. Middle price range. 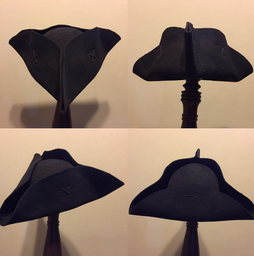 Oil/Wax Treated - This offers maximum weatherproofing, and most closely replicates the old world method and look of treating seafaring hats with tar pitch, bees wax or animal fat, without the mess or smell. The MacKay uses a modern oil/wax hybrid. 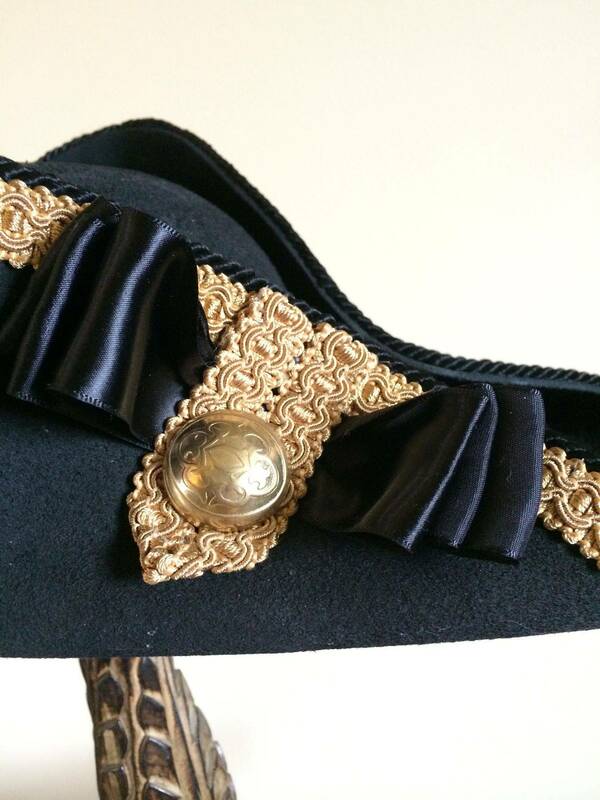 Hat is hard and should be worn with a scarf or bandana for comfort. 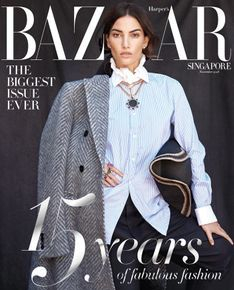 Upper price range. 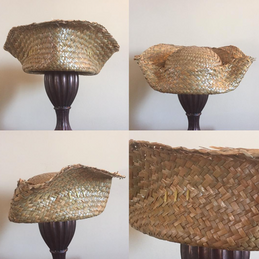 I can make your hat in 21", 22", 23", 24" or 25" (crown circumferences) sizes. 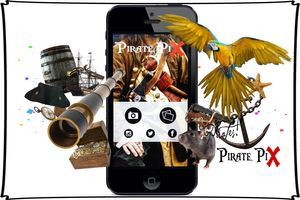 Pirate Pix is proud to announce the release of their new pirate themed photo sticker, editing app developed for the iPhone and iPad. Pirate Pix offers a large collection of pirate, nautical, mermaid stickers, frames and greetings that can be mixed and matched for a fun, engaging collages for use on multiple social media platforms. Choose from your photo gallery or take a photo with the in-built camera, users can start applying realistic Pirate themed sticker images. The stickers can be scaled, rotated and moved allowing for maximum creativity. Multiple layers can be added to a single photo. The edited picture can then be shared to major social networks within the app like: facebook, instagram, google and twitter. 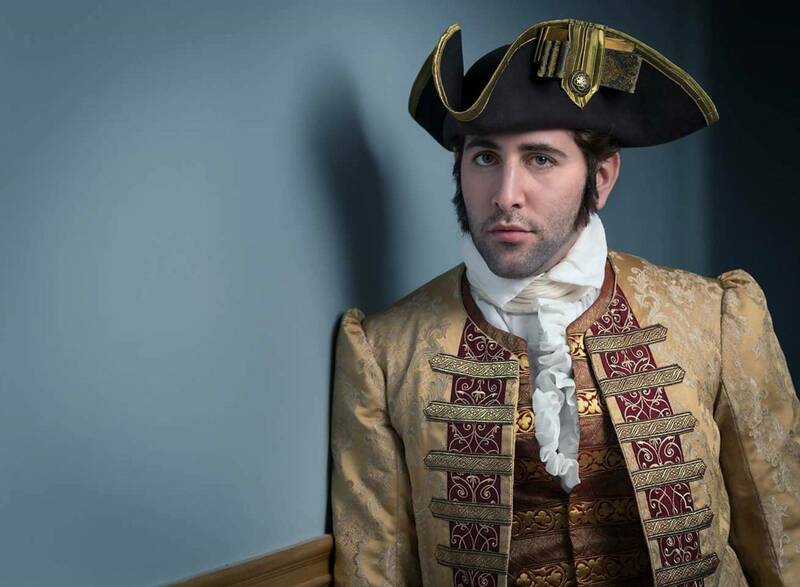 Anything from selfies, to party shots with friends, or everyday shots captured at home can become entertaining and original works of piratical art. Pirate Pix has multiple sticker packages to add more authentic piratical images to your photos. You can upgrade your free sticker collection with the addition of: Weapons, Accessories, Treasure, Mermaid, Animals, Tattoos, and others with more options being added often. Download NOW!! Free!!! 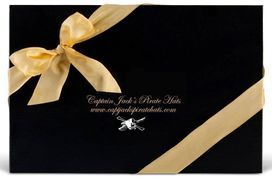 Captain Jack's Gift Certificates are available for all occasions. Message CaptainJeffMacKay@gmail.com for a customized Gift Certificate. 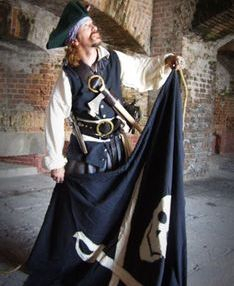 Pirate Flags were used to intimidate the enemy by conjuring up the feelings of fear and dread. 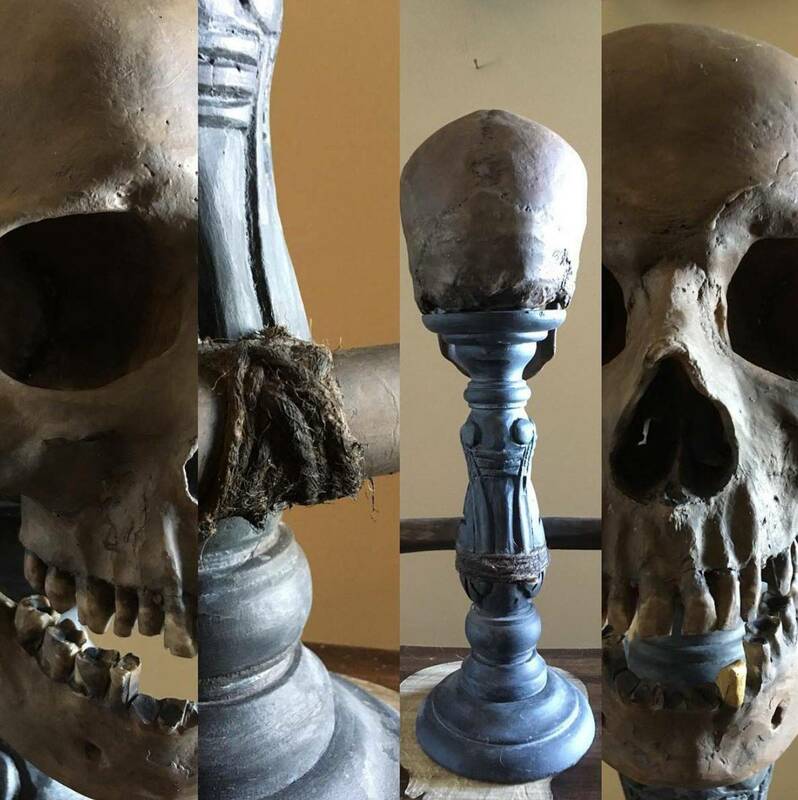 This was done with threatening images like the skull & cross Cutlasses pictured here. 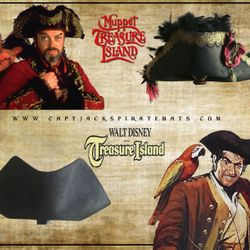 Captain Jack's Trading Co. presents for ye true pirates an Authentic Handmade Pirate Flag. Hand stitched as done in the 1700's, aged and worn. 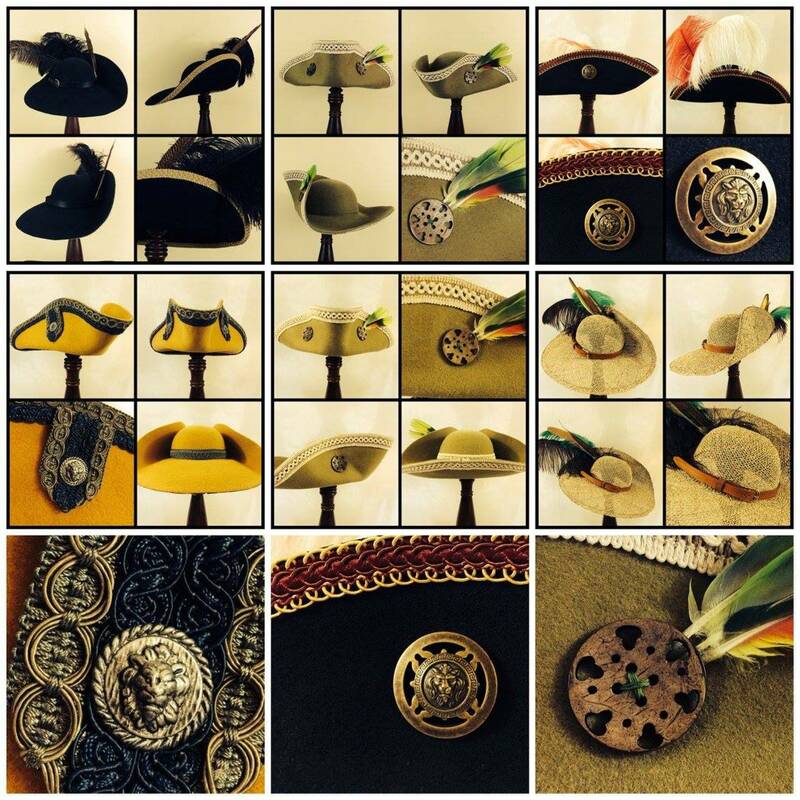 To Purchase Go To: CJ Trading Co.
Over 5000 Pirate Hats in 15 years! 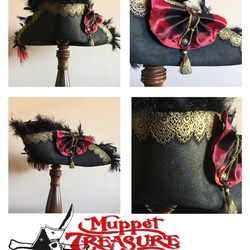 Captain Jack's Pirate Hats Available NOW without the wait. These hats are available now and can be shipped the day of purchase. 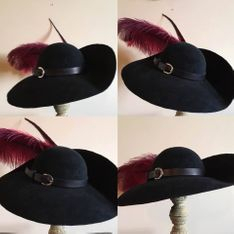 Black Wool Felt, Untreated, 21", Red and Burgundy Ostrich Plumes and Pheasant Feather. 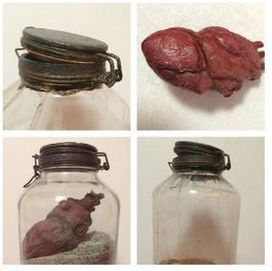 $130. plus shipping. Captain Jack's version of the classic Anne Bonne portrayed in early prints from the 1700's and made popular recently on TV. 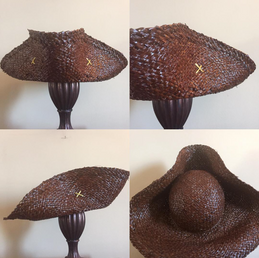 Broad Brimmed Hat, heavily distressed. 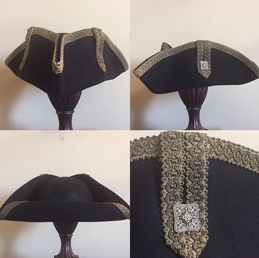 The Captain hand stitches the brim edge, as well as the top of the crown, and hat band. 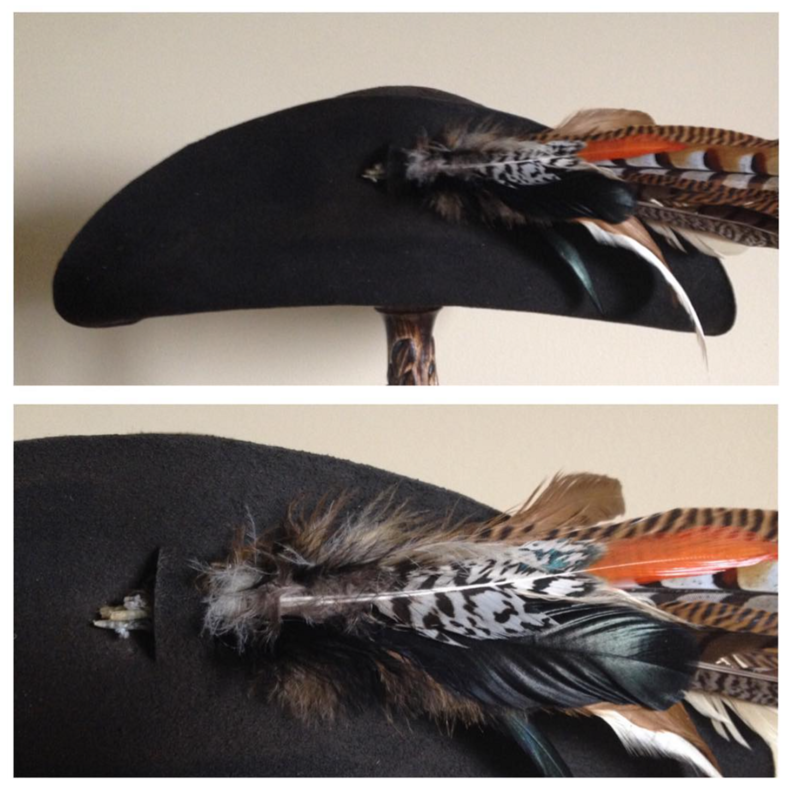 Brim is curled over and tacked to the crown. 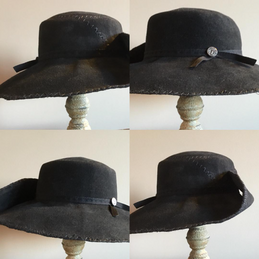 Hatband is webbing unless otherwise desired ( leather is available), with a unique accent button (will vary with availability).